Mayfair House is a premier retailer, specialising in brand name apparel for men and women, shoes, handbags, jewelry, watches, accessories, beauty, corporate gifts, elegant home goods along with baby and bridal gifts. We rebuilt Mayfair House’s e-commerce site from the ground up with a foundation for extensibility and growth. Mayfair House had survived for many years on a rickshaw e-commerce platform. The platform was based on proprietary technology and developed with PHP4 methodologies years ago. Our team brought Mayfair House into the second decade of the 21st century—with the power of Open Source. At the beginning of 2015, many critical bugs involving payment processing were being uncovered. A technical code audit showed many security risks—Mayfair House needed to be modernized—and just in time for the 2015 holiday season. As a high-end retailer trying to grow into its online business, Mayfair House sought a platform solution that would grow as its online content and e-commerce strategy matured in the coming years. To get started, it was important to select a tool that offered strong e-commerce tools out of box, but also one could be easily reconfigured to suit an evolving online marketing strategy. With 105 brands approvals for online sales, Mayfair House is one of the few online retailers permitted to carry competing brands. Mayfair’s status groups them with Bloomingdales Saks Fifth Avenue, and Barneys. Since brands regulate pricing for their partners, in order to compete we had to focus on user experience and the convenience of a wide selection of high-end retail products. 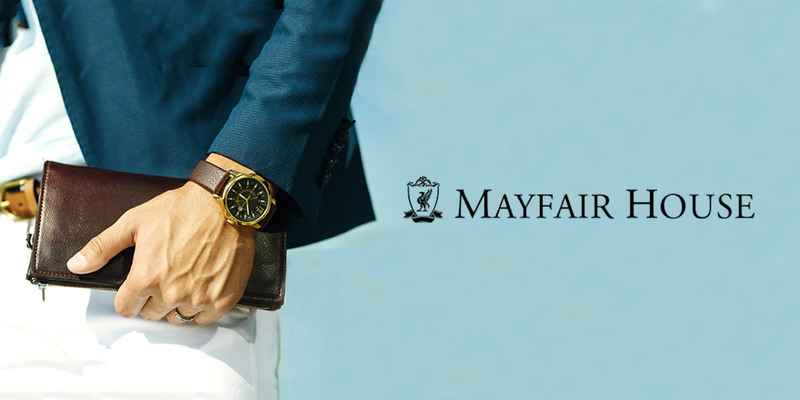 Cheating brand loyalty to Mayfair is key to their continued growth, and we are excited to be apart of it. Axelerant executed a Drupal site build and Drupal migration so that Mayfair House could hit the e-commerce runway this winter—with a technology platform as robust as its portfolio of brands. Drupal commerce was selected as the solution most capable of maturing into Mayfair’s vision for future e-commerce features. In the meantime, the base of Commerce Kickstart proved to Mayfair that enough was preconfigured to get started with minimal overhead. The proof-of-concept hinged on the out-of-box viability, and extensibility into one key feature: registries. Mayfair’s burgeoning online business is majorly driven by registries. Both private and public wedding registries drive exposure for Mayfair with friends and family of the brides and grooms. Besides the basic wishlist functionality, we needed to improve the commerce_registry project to allow for: tracking multiple quantity purchases at checkout, easy updates to quantity desired, and independent tracking of quality desired vs. quantity purchased. Migration focused on customer and product data. Customer account information, order history, and registries needed a new home. Preserving tax and shipping information on invoices is also important for records keeping. Products needed to be migrated and organized with the appropriate attributes. The usability and admin functionality of Drupal Commerce encouraged Mayfair to rethink their current product content strategy.